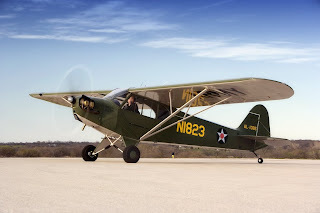 American Legend Aircraft has just announced special pricing for both its ready-to-fly Light Sport aircraft and the kitbuilt Texas Sport Cub. 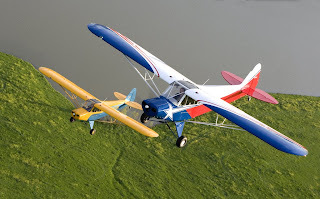 The airplanes are essentially the same, except that the Texas Sport Cub can be built to a 1600-pound maximum gross weight; the LSA version is limited to 1320 by the rules of the game. For the SLSA (turnkey) versions, the new base price is $91,785, reflecting a 12% reduction. This configuration includes a traditional yellow Cub paint scheme with a black "lightning bolt" trim line, standard VFR flight instruments and engine instruments, but no radios save for an ELT. Many options are available. The Legend Cub base model comes with the open cowling and the Continental O-200 engine turning a fixed-pitch prop. The 120-hp Jabiru 3300 is an extra-cost option; either engine choice can be had with a closed cowling. Amateur-Built kit, there's the Texas Sport Cub. It is being offered with a $2000 credit toward options and accessories. The base kit, which includes "all the necessary components to fully complete [the airframe] section down to every nut, washer, bolt, and cotter pin," sells for $38,600 minus engine, interior, paint and avionics. The company also offers a 14- or 21-day KwikBild program. These special offers will continue until the end of Sun 'n Fun on April 13. We last reported on the Texas Sport Cub in our March 2008 issue.